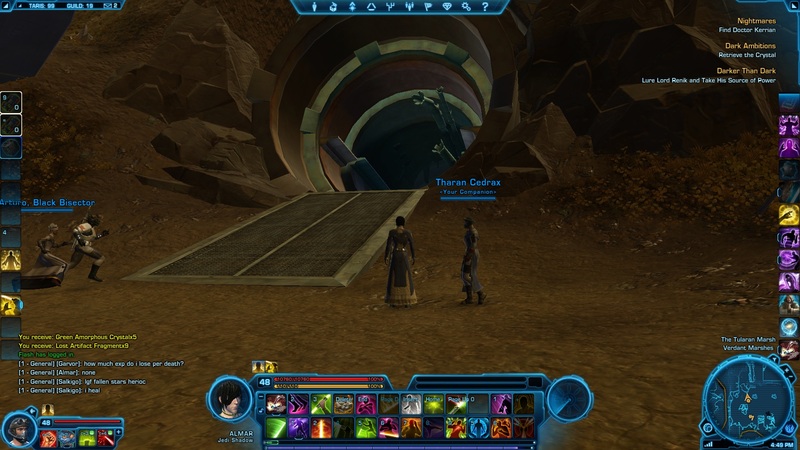 To get to the Datacron all you need to do is run across the small pipe nearby (Screenshot 4) and jump to the Datacron's adjacent platform. From here one final jump to the Datacrons platform and you're all done! A picture of where you'll need to go to reach Transport Station 5. The entrance cave to Transport Station 5. Picture of where this is, is on the map above. You can see the Datacron in the distance here. Follow this pipe to reach the Strength Datacron. Taris Strength Datacron up close and personal. Taris Strength Datacron location on the map.